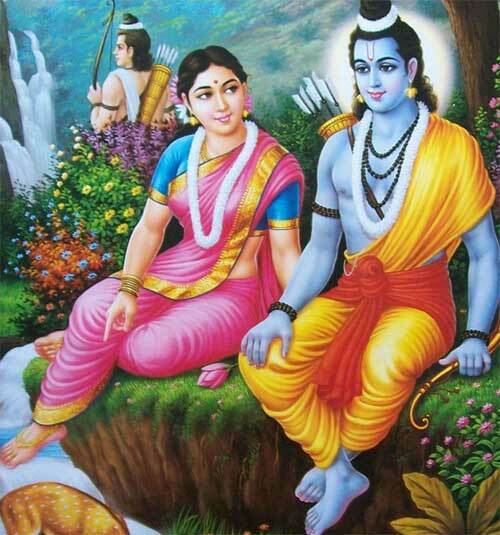 During the exile period in the Ramayana when Bhagvan Sri Ram and Mata Sita slept, Lakshman stayed awake watching over. He never slept and for this reason he is also known as Gudakesh. One night when he was keeping watch over Sri Ram and Sita, a luminous light appeared before him. It was Nidhra, the Goddess of Sleep. She came to warn Lakshman that he would not be able to stay awake during the entire exile period as no living being can survive without sleep. Lakshman then wanted the blessing of the goddess to survive the exile period without sleeping. Goddess Nidhra then told Lakshman that he could survive without sleeping if someone else could sleep all the sleep that he needed. Lakshman then told the Goddess that his wife, Urmila, would surely sleep for him. Goddess Nidhra then went Ayodhya and asked Urmila whether she would be able to help her husband. Urmila readily agreed and took Lakshman’s share of sleep. Thus, Lakshman could survive without sleep during the exile period in the Ramayana. As he did not sleep during the entire exile period Lakshman is known as Gudakesh. There was a reason for Lakshman not sleeping for 14 years, Meghnand or Indrajit, the son of demon king, Ravana, had got the boon that he could only be killed by a human being who had not slept for 14 years, who had not eaten for 14 years and who had not seen the face of a woman for 14 years. 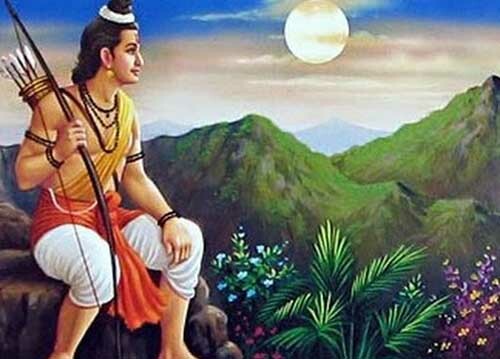 Lakshman did not sleep for 14 years, he never ate during the entire exile period and even when he was roaming in the forest with Mata Sita, he only looked at her feet.